100% Percent Made in the USA. We don't just do one step in the USA and claim “Made in the USA”…we really mean it! Completely transforms room and boldly expresses your passion. Perfect gift for a passionate General Animal Graphics fan. Great, reusable party decoration, unlike other party supplies. Ultra-high premium quality Guaranteed. Thick, tear resistant vinyl (more than a giant sticker!) created with latest digital printing technology and UV solvent inks. We could produce Fatheads cheaper, but we’d rather make the best product, not the cheapest! Easy-to-install single piece life-size decal. We don't send you a “giant decal” chopped up into a bunch of little pieces that don't fit together. We're selling a Fathead here, not Humpty Dumpty! Item comes with all the extra decals, as shown, at no additional cost! 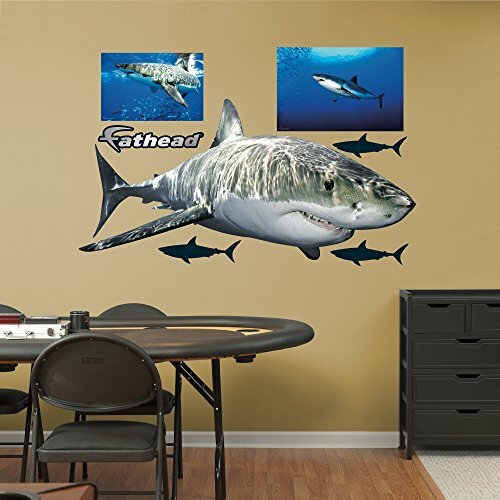 If you have any questions about this product by FATHEAD, contact us by completing and submitting the form below. If you are looking for a specif part number, please include it with your message.